Look up the word WUNDERKIND in the dictionary, and you might just find a picture of Emma Kenney. The thirteen-year-old might not be a household name just yet, but she will be, rest assured. She just might be the brightest young star burning on the horizon whose time has come. If you are a fan of cable dramas or dramedies, then you will have seen Emma’s work as Debbie Gallagher in the hit Showtime dramedy Shameless or as Eilis Rohan in HBO’s popular Boardwalk Empire. Emma has starred in countless short films, and even made her mark as a triple threat writer-director-producer with her own short film “The New Girl in Town,” which was accepted as a Finalist in the New Jersey International Film Festival. 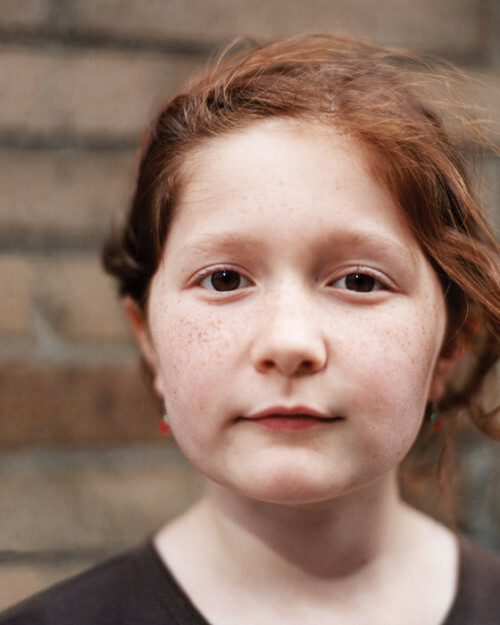 She is the youngest director ever accepted to the festival. 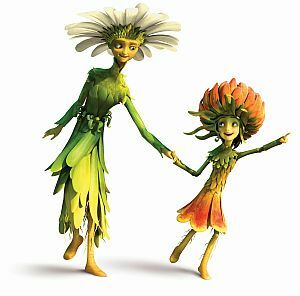 Most recently, Emma tried something different when she gave voice to the adorable character of Marigold Girl in EPIC from Blue Sky Studios. I had the pleasure of speaking with Emma about her experience on the exquisitely animated EPIC, as well as her career, life, and plans to conquer the world as a Hollywood actor-director. Reel Mama: I really enjoyed your performance as Marigold Girl. That was such a charming, delightful role. Emma: Thank you so much! It was so much fun to record it. It was my first movie ever and my first ever voice over too, so it was really cool. Reel Mama: What is the story of EPIC, and how does Marigold Girl fit into that? Emma: EPIC is a story about good and evil. It’s about a microscopic forest [civilization] that can only be seen by humans with these special kind of goggles. My character Marigold girl is a little flower that lives within this forest. In the end she becomes queen, and she takes Beyoncé’s [Queen Tara in the film] throne. It’s a really fun, entertaining story that I think everybody, all kids and adults, will love. Reel Mama: How did you come to get the role of Marigold girl? Emma: In November 2011 I got the call that I was going to audition for the part of Marigold Girl. I was inspired, because I was a little girl idolizing Kate Middleton. I went into my agent’s office to record in a studio [at the agency] for the part. A week or two weeks later I got the call that I had booked the part, and I was so excited. We started recording in December 2011. Reel Mama: How exciting! Describe the process of bringing Marigold Girl to life. How did you develop her character? Emma: When we started I didn’t know that much about the character, because we went into the studio and found out all the story lines and all that kind of stuff right there. Once I got all that information I realized that [Marigold Girl] was a sweet little flower who idolizes Queen Tara, played by Beyoncé. She wants to be Queen Tara when she grows up, kind of like any little girl wants to be a princess when she’s older. So that was fun. Seeing little sketches of Marigold Girl, and little [film] clips, really helped me put her into perspective and into character too. Reel Mama: Having that artists’ visualization helped you understand the character and bring her to life? Emma: Yes, because you got a sense of her age, and that kind of stuff. Reel Mama: You’ve been a TV actor, and you’ve done short films as well? Emma: I’ve done tons and tons of student films with NYU, Columbia, and the School of the Visual Arts. I did so many of those, and I had the best time filming those. I learned so much, and it was such a fun experience. That really helped me get prepped for doing Shameless [on Showtime]. Reel Mama: So that’s how you got your start, with short films, student films, and that kind of thing? Emma: Yes, those were the first ever things I ever filmed. They are so much fun to film. Reel Mama: You’ve had extensive experience acting for the screen. What’s the difference between acting on screen versus for a character that’s animated? You don’t get to appear on screen, yet you have to bring all of the characteristics for the audience to life. How do you manage that difference? Emma: You have to portray your character through your voice, rather than facial expressions. I used to be, I want to say, a better actress at using my face rather than portraying through my voice. I think [working on Epic] helped me a lot. It was a great experience. It was really fun, and I definitely learned a lot about the movie business and ways to perform for future reference. Reel Mama: Were there any particular challenges you ran into, being able to use only your voice and not your facial expressions? Emma: Not really, to be honest. I had a really great director, Chris Wedge, who helped me get through it all, and it was really fun. Reel Mama: It seems like you have a wonderful sense of humor. Reel Mama: I noticed on your Twitter profile you claim to be the inventor of the cheese burger and things like that. Emma (joking): Yes, that was me! Reel Mama: Do you find that a sense of humor is really important when you’re working in show business? In something like SHAMELESS you’re working with a lot of adult themes. Do you find that a sense of humor is a really important way to get through your day? Emma: I really love to laugh, and we have so much fun on the set. All the scenes of SHAMELESS are heavy and dark and deep, almost, but the second they call cut, we all shift out of our characters. We all joke around, and we pull pranks on set a lot. Laughing and having fun is so important to have a great life, you know? Reel Mama: Absolutely! Keep that up. It’s a lot of fun, and it makes you really unique. Emma: Thank you. I will! Reel Mama: How do you balance your school, social life, and your acting career? How do you maintain that balance? Emma: I live in New Jersey. When I’m home in New Jersey I go to regular school. I’m going to be a freshman this year, and I’m very, very excited. When I’m in LA filming, I have a tutor on set, and it’s kind of like I’m back with my regular teacher, and I’m doing the same work that I would be doing back home, except that I’ll just be doing it 3000 miles away from where I live, on a TV show set. I’m on honor roll, so I think that’s a good sign. Reel Mama: Congratulations! That’s exciting, and so important. Emma: I want to go to NYU, so I’m trying to get all A’s, next year in high school. I want to go to NYU film school. Reel Mama: Do you want to become a director, or stick with acting, or both? Emma: I want to do both. I love the whole movie business, and I love to write. When I was nine, I directed a movie, called The New Girl in Town, which made it as a finalist in the New Jersey International Film Festival. I love directing and writing. I’m very big into writing scripts and little shorts and stuff, so I’d love to do both. Reel Mama: That’s exciting! I’m sure we’ll be hearing a lot from you! What is a current or future project that you’re excited about that you’re going to be working on? Emma: I’m going to be filming something really fun at the end of the month. I’m really excited about that, and I start shooting Season Four of SHAMELESS, my TV show, at the end of September. I’m very, very excited to go back to LA and see my SHAMELESS family. It’s been 10 months since I’ve seen them. We shot Season Three in November. Hopefully after [we shoot] Season Four and go on on hiatus, I’ll do a movie. 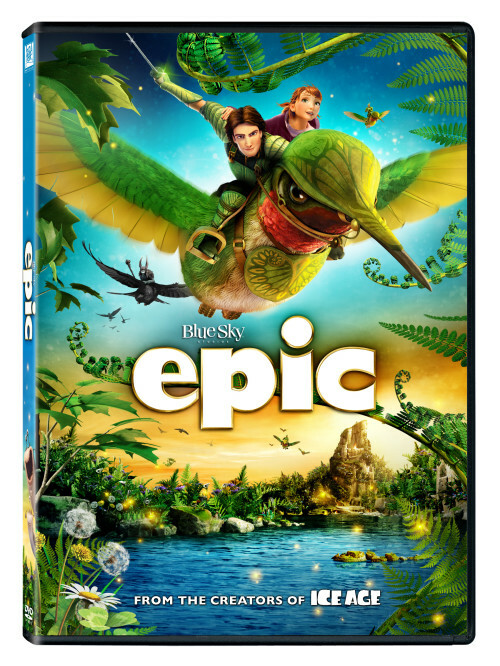 Reel Mama: How do you feel about EPIC coming out on Blu Ray? That’s pretty exciting too! Emma: EPIC was released on August 20 on Blu Ray and DVD. I’m so excited. I can’t wait to go to Target and pick up a bunch of copies, one for each TV! Reel Mama: It’s truly been a pleasure talking with you. Emma: Thanks so much for having me. It was nice talking to you! Reel Mama: Nice talking to you too! Check out my coverage of EPIC, including my EPIC movie review, How to host an EPIC camping party, and Green back-to-school tips for an EPIC school year. Special thanks to Emma for taking time out of her busy schedule to talk to to Reel Mama. Watch for more exciting coverage of EPIC and upcoming releases from Fox Home Entertainment at Reel Mama! Wow, I learned a lot about Emma. She has been one busy little girl from the sounds of it. Hope to see her in some more upcoming films. A copy of Epic for each tv in the house…I would totally do that if I was a movie star. movie AND a tv show at such a young age. Congratulations to her! How neat! We love this movie!